When you send an email to someone, the outgoing message may sometimes include the IP address of your computer that was used to send that message. The IP address is included inside the message header and, if available, it can help the recipient trace the approximate geographic location of the sender. Not all email providers include the sender’s IP address in the outgoing email messages. For instance, Gmail omits the sender’s IP address if you send mails through Gmail’s website or through Gmail’s mobile apps but the IP address gets included if you use a third-party program – like Microsoft Outlook or the Mail App on your iPhone – to send the message through your Gmail account. 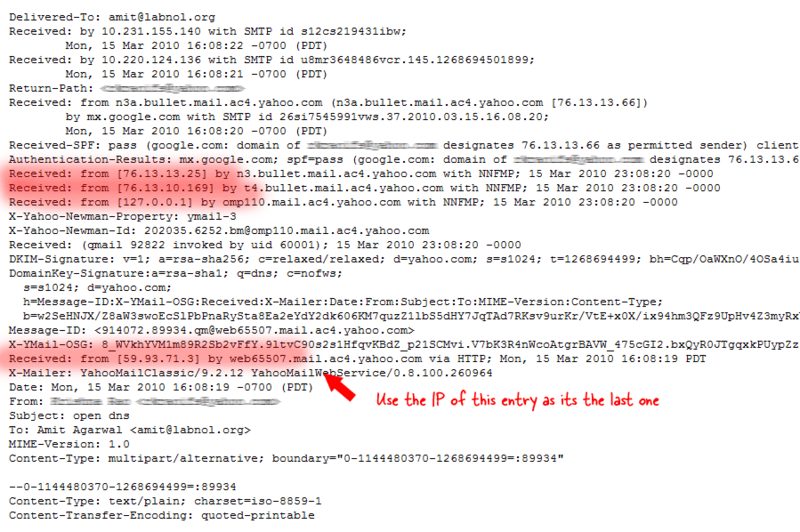 Outlook.com also hides the sender’s IP address while Yahoo Mail includes that information in the outgoing message headers. If you would like to know if your email client is revealing your IP address to the recipients or not, you can either send an email to yourself and look at the message headers but if that sounds a bit too technical, give emailipleak.com a try. When you open the site in your browser, it detect your computer’s IP address and creates a unique email address for you. You are required to send a blank message from your email client to that address. When the message arrives, the tool looks for your IP address in the headers of the incoming message and alerts you if a match is found.